If you ever see Kelly Anne Beile, Marketing Team Leader at Whole Foods Market, don’t let her cool West Coast style fool you. She was born and raised in horse country and is passionate about all-things Lexington. This passion for her community brilliantly shines through on the successful Twitter account she maintains on behalf of WFM (Whole Foods Market). During an interview I conducted with Beile, I learned that the WFM Twitter account, @WholeFoodsLEX, is so successful that it has grown faster than any other WFM twitter account in the country. In the following presentation, I will utilize my interview with Beile to analyze why her Twitter account is attracting new connections and growing relationships with existing followers. 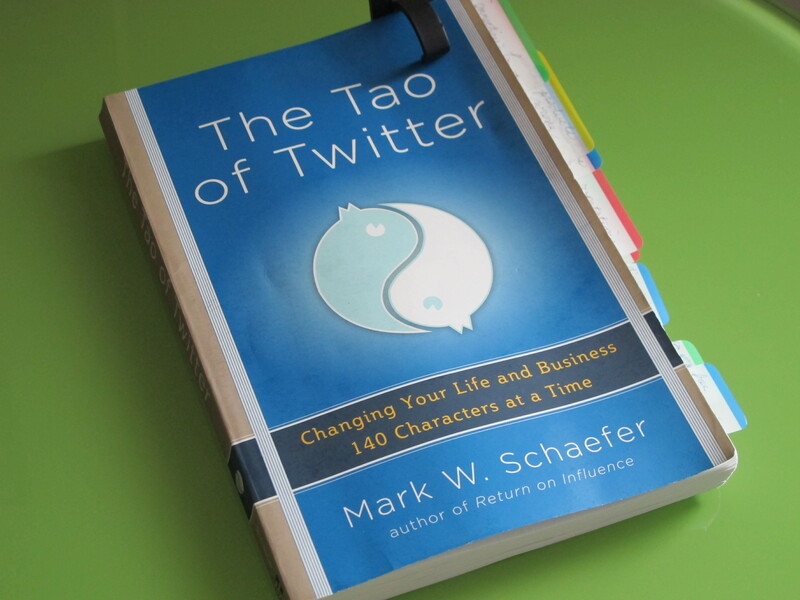 Mark W. Schaefer’s The Tao of Twitter will be employed as the organizing force in this analysis. Additionally, I will offer suggestions on how @WholeFoodsLEX could further strengthen its local presence on Twitter. Some would say that Charlene Li and Josh Bernoff (2011), along with Forrester Research, wrote the book on social technologies. 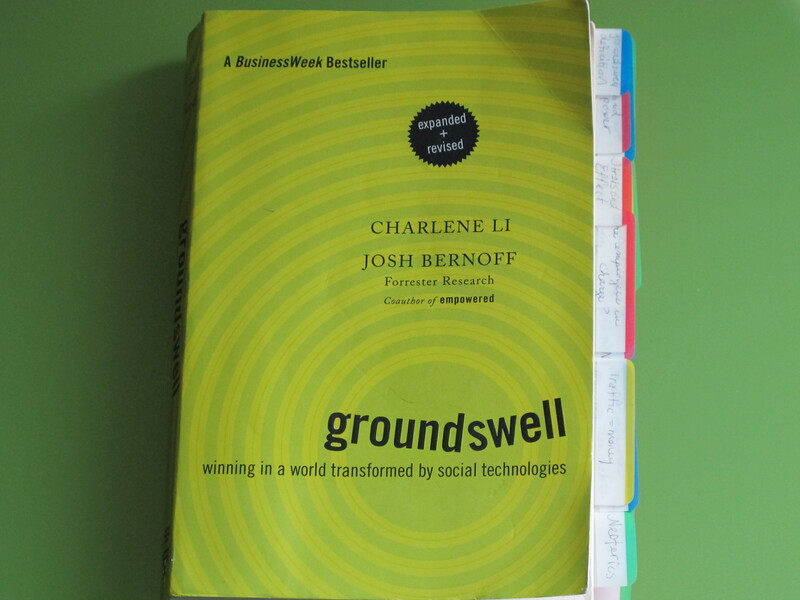 Their book, Groundswell, presented case studies and examples on how hundreds of well-known companies have participated in the online social landscape. One such example discussed how Zappos, the ecommerce site known for shoes and exceptional customer service, encourages each and every one of their employees to participate in Twitter on behalf of the company. Li and Bernoff suggested that “this demonstrates an incredible amount of trust in both its employees and its customers, but it also makes clear to anyone considering buying from Zappos that the company’s commitment to service is real” (p. 206). Whole Foods Market does not go as far as to encourage every employee to tweet on its behalf, but it does demonstrate an incredible amount of trust in each of its store’s Marketing Team Leader. According to Kelly Anne Beile, Marketing Team Leader at the Whole Foods Market in Lexington, KY, the corporate marketing arm of WFM entrusts the creative direction and content of each store’s Twitter account to the local marketing leader (Seacat, 2013). Beile also noted that Whole Foods Market uses positive reinforcement to encourage the marketers to bolster their presence on social media channels. For example, at the mid-year mark in 2013, Whole Foods Market wisely rewarded Beile and her store, because the percentage of growth of followers attracted by her Twitter account was the best in the nation, and in second place when compared to all other WFM stores in the world. This accomplishment is quite impressive. But, by the same token, this accomplishment poses a question for other marketers to discuss: How has Beile amassed such an impressive following on Twitter? Below, I will propose that the success of Beile’s Twitter presence can be contributed to her expert use of best Twitter practices such as the ones outlined in The Tao of Twitter (2012). Additionally, I will offer suggestions on how @WholeFoodsLEX could further strengthen its local presence on Twitter. In The Tao of Twitter, Schaefer outlined a list of “22 Ways to Attract Targeted Followers.” The first suggestion within this helpful list explained that a good way to grow a group of targeted followers is to “start following people you already know” (p. 39), which may incite them to follow you back. Lucky for Whole Foods, Beilie is a very active citizen of Lexington and regularly interacts with community leaders. Moreover, when Beile is attending events with these folks, she naturally tweets about it. Case in point, below is a tweet she published on July 26, 2013. Incorporating Mentions. This slightly revised version increases the potential to make targeted connections and it incorporates two call-to-actions. For instance, the Twitter handles for both the offline organization and venue, Women Leading Kentucky and Sal’s Chop House, were included, which translates in the Twitter world as a “mention.” The act of mentioning on Twitter increases the likelihood that the groups that are mentioned will see the tweet and retweet the message. Hence, the Twitter mentions will increase the likelihood that followers of the mentioned group will begin to follow the initial tweeter. Tweets containing more adverbs and verbs had higher CTRs than noun and adjective heavy tweets. Incorporating Call-To-Actions. In addition, this revised tweet includes action-oriented verbs. It tells followers to “grab” others in the targeted market, “join,” and to “register.” After analyzing 200,000 link-containing tweets, Dan Zarrella, author of The Science of Marketing (2013), discovered that tweets containing “more adverbs and verbs had higher CTRs than noun and adjective heavy tweets” (p. 72). Therefore, while the original tweet was excellent since it had a high potential to earn Whole Foods Market more targeted connections on Twitter, this slightly modified version amplifies that potential and can increase the click-through-rate. As effective as Beile is at making targeted connections on behalf of Whole Foods Market, her knowledge of what type of message to send also contributes to the success of the Twitter account. Schaefer explained that “the type of messages you send out will ultimately determine your success and effectiveness on Twitter. If you are interesting, entertaining, and help people with useful information, your followers will be drawn to you and also recommend others to follow you” (2012, p. 52). In other words, tweets that attract followers are those that are not limited to the maximum one hundred forty characters, but rather messages that provide an enticing and helpful link to additional information. Zarrella “found that highly followed accounts tweet more links than lesser followed counterparts” (p. 57). Beile does an exceptional job at using Twitter to share compelling and relevant content via messages with links. Tweets that attract followers are those that are not limited to the maximum one hundred forty characters, but rather messages that provide an enticing and helpful link to additional information. In fact, from July 25, 2013 to 12:00 p.m. (Eastern Standard Time) on July 29, 2013, nearly seventy-five percent of the tweets Beile published on the behalf of Whole Foods Market contained links, while only seven percent contained non-linked conversations, and the remaining tweets reflected non-linked promotions (@WholeFoodsLEX, 2013). Although some might think that this approach seems imbalanced, Beile’s method would be most likely supported by Zarella who suggested, “Do not think of ‘engaging in conversation’ on Twitter as a way of building your reach. Instead, focus on gathering and sharing as much interesting relevant content as you can” (p. 57). Consequently, a suggestion to improve the potential for attracting even more followers would be for Beile to make a point to never post a tweet without incorporating a relevant link. In other words, even in conversations with followers, Beile could enhance her potential reach by not only responding to a question with a helpful answer, but also providing a relevant link. As shown above, publishing tweets that contain interesting content via links is important for amassing a substantial number of followers. But, engaging in conversation by offering answers to followers’ questions is also a key best practice on Twitter, and one that Beile has mastered. For instance on July 26, 2013 a follower posted the following question in response to Beile favoriting his tweet via @WholeFoodsLEX. @WholeFoodsLEX Does favoriting mean I won? Clearly, favoriting a tweet does not indicate that the tweeter is a winner of a contest. But, even though the answer to this question may seem obvious to most, because Beile uses @WholeFoodsLEX to offer authentic helpfulness, she took the time to reply to this question with a very swift (notice the time between the question and Beile’s response) and cordial response as illustrated below. @kfukie7 Thanks for participating! The contest does not end until 11:59pm tomorrow night. We'll announce the winner on Sunday. Cheers! Schaefer would most likely approve of Beile’s swift and helpful tweet on behalf of Whole Foods Market. He suggested that “if a person shows genuine interest in you, and offers help without regard for his [or her] own personal benefit, you will like that person and connect with him [/her]” (p. 63). Notice that the person posing the question about being favorited is located in Vero Beach, so one might deduce that he is not a regular customer at the Whole Foods Market in Lexington, KY. Hence, it would not be a far stretch to assume that this person does not represent an overly profitable customer at the Lexington store. Nevertheless, in the spirit of authentic helpfulness, Beile answered his question and maintained the integrity of Whole Foods Market’s corporate brand. It is important to note, that through HootSuite (a social media management technology), Beile answers each and every question posed to @WholeFoodsLEX, regardless of whether the conversation will directly benefit her store (Seacat, 2013). In the above analysis, it was shown that Kelly Anne Beile effectively uses Twitter by amassing an impressive number of targeted followers for Whole Foods Market. She maintains these connections by providing meaningful content and offering authentic helpfulness. It was suggested that her efforts could be amplified by incorporating more “@mentions,” call-to-actions, and relevant links. However, these suggestions are not meant to take away from the effective Twitter account that Beile maintains for Whole Foods Market. Believe it or not, Beile has grown this account from the ground-up and is the sole contributor (Seacat, 2013). She is truly a Twitter Master. @WholeFoodsLEX. (2013). Lexington, KY Whole Foods Market official Twitter account. at a Time. New York, NY: McGraw-Hill. Other Proven Strategies. Hoboken, NJ: John Wiley & Sons, Inc. I had the privilege of seeing Kelly Anne (featured in this blog post) speak at a Women Leading Kentucky event a few months ago. Really enjoyed listening to her speak about her social media efforts with Whole Foods Lexington.